Security cameras offer great benefits for various settings. From protecting your business or property to keeping an eye on nursing homes or daycare centers, surveillance camera systems can be incredibly helpful. The extensive surveillance market is like a double-edged sword. While there is likely a security solution for nearly every need, sorting through the options to find the best security solution for you can be seemingly endless. However, with the proper approach and assistance, you can find a suitable surveillance system in a timely manner. When shopping for security camera systems, it is best to evaluate your needs and research which solutions may better suit you. For example, choosing between wired or wireless security cameras can be determined by weighing their advantages and disadvantages, while understanding how these can play into your specific requirements. To help you choose which is better for you, here are some basic pros and cons of both wired and wireless security cameras. Video is transmitted straight to your recorder with no interference from other wireless devices. A wide variety of camera styles are available. Wired cameras make it impossible for the signal to be jammed. Installation involves wiring (and likely conduit), making it a lengthier and more complicated process. Changing the location of your cameras requires rewiring, thus providing less flexibility. The absence of wiring enables an easier installation process. More flexibility in terms of relocating cameras. Wireless cameras can connect to your existing Wi-Fi network. Depending on the range of your Wi-Fi network, connectivity issues may arise. Picture quality is not as good as wired cameras provide. Crowded frequency (due to the overlapping of other wireless networks or channels) can lead to dropped signals, interference, and lost video. Frequency issues make these generally less reliable than wired cameras. If cameras are used outdoors, signal may be lost during inclement weather. Other things to consider include the structure of your property or building and the location of power sources. While some may prefer strictly wired solutions, and others choose wireless, it is possible to create a hybrid system, incorporating both wired and wireless cameras. It is best to consider different options before deciding on a security system. Let us help you create the best security camera system. 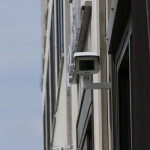 Browse our stock online at SecurityCamExpert.com or call 888-203-6294 to discuss your options. You can also connect with us on Facebook, Google+, Twitter, LinkedIn, and Pinterest. Upgrading your analog security cameras to IP security cameras has plenty of benefits, including improved image quality and advanced features. Most IP surveillance systems can make use of existing network infrastructure that is in good condition, decreasing costs for installation. Whether you are looking to upgrade because your analog system is reaching end-of-life for support or because your needs have changed, an IP surveillance system is a smart decision. If you are looking to achieve ROI, you must fully understand how your IP security system will be used. Operational goals and potential challenges should be determined beforehand. Think about what types of cameras and how much resolution you need, as well as how long the footage needs to be stored and which areas need coverage. Proper planning is crucial to the success of your security system. No one wants to pay an arm and a leg for a mediocre surveillance system. If done correctly, you don’t need to. By defining a security budget, you can find the right cameras and video management software (VMS) to fulfill your needs and achieve your goals. As much as a quick transition sounds ideal, it is not always feasible. Understand that a proper transition will take some time, and it may be in your best interest to plan a phased migration. This will help to accommodate budget availability and operational disruptions. Prioritize which area needs immediate attention and begin there. Going from analog to IP improves video quality, but also requires more storage. Advanced VMS can help to effectively optimize your network resources and bandwidth consumption, thus decreasing networking and storage costs over time. A new IP video system may need additional staffing, so you should think about this and how you will train the new and existing staff. This will impact both overall costs and ROI of your system, and may affect cameras and software selection. 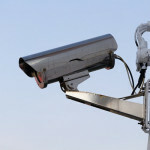 For example, casinos require live monitoring around the clock while parking lot surveillance may use video analytics to alert security personnel of incidents or events that need attention. Numerous third-party integrations can help to increase the efficiency of your system as well as manage costs. While most current systems have an IP-based interface for integration, leading suppliers also have a wide range of integrations which are tested and ready to apply. These can offer functionality, automation, and other enhancements to solve project needs. Cybersecurity is of utmost importance, especially these days. If not addressed properly, going from analog to IP opens up your system, and any indirectly connected networks, to endless vulnerabilities. Be sure to discuss your specific network safeguards, policies, and strategies with your installer. Also, enlist a new IP security system that provides the appropriate cybersecurity architecture, software, devices, and policies. Pay attention to licensing requirements and Software Upgrade Plans (SUPs) or Service Level Agreements (SLAs) that come with most VMS systems. These cover everything from higher tiers of support to future upgrades. For example, third-party cameras may require a license for each IP address, and these licensing requirements can add additional costs. These include extreme heat or cold, humidity, corrosion, and high dust levels, along with ambient light levels, existing power sources, and network infrastructure. 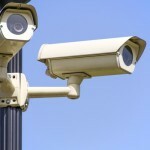 All of these can impact which security cameras and VMS equipment are necessary for you. Because your security system should be operational and accessible at all times, it is important plan provisions for redundancy and back up for primary resources in case they fail. For most systems, simple RAID-5 or -6 redundancy in storage is sufficient. 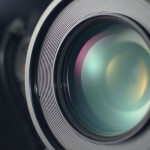 However, you should also consider budgeting for “failover” recorders and other server hardware, and have spare cameras on hand in case of failure. It is only a matter of time until IP surveillance is the norm and analog security cameras are a thing of the past. But when the day comes, it is ever important to understand your security needs and what you expect from your IP surveillance system. Even a small mistake or misstep along the way can compromise your system. Have you upgraded to an IP security camera system? Share your stories with us on Facebook, Google+, Twitter, LinkedIn and Pinterest. You can shop our selection online at SecurityCamExpert.com or call 888-203-6294 to inquire about our products, installation services, or request a free quote!